Roger: Good evening, ladies and gentlemen! I’m Roger Fredinburg, radio’s regular guy! Nice to have you aboard! We’re continuing our series on The Holocaust: We Must Remember. Last week we had James Pool with us. We talked about Hitler’s early days, 1919 to 1933. His book is “Who Financed Hitler.” We have James Pool back with us this week, a continuation, his second book “Hitler and His Secret Partners: Contributions, Loot and Rewards – 1933 to 1945.” We’ll pick up where we left off last week with Hitler in the midst of the Great Depression and rising to power where he eventually becomes chancellor of Germany, and beyond that to his fortunate end and demise. I’d like to welcome James Pool back. James, how are you? Roger: Nice to have you back, my friend! Where we left off last week, we had a lot of very interesting calls after you were off the other day, this evening we’ll handle those questions. I didn’t want to get off the time frame last week. We did have some challenging calls last week after we let you go last time so we’ll take them now when you can answer for yourself, okay? Roger: We’ll have some fun with that! I think we left off when Hitler was miring around in the Depression and rebuilding the party. People were once again beginning to listen to him because the economy was bad and his message was resonating with the people. James: Exactly! The Depression became so bad in Germany that one third of the workforce was unemployed. Under those conditions, the Nazis started to win a tremendous number of popular votes and became the largest party in Germany. At that point, the conservative nationalists whose following was diminishing, decided that their only chance was to try to put together some kind of coalition with Hitler. In 1933 they formed a coalition government with Hitler. A lot of people don”t realize that when Hitler first came to power in the 1933 it was part of a coalition government in which the conservatives held all the powerful positions. They held the Ministry of Defense, the Ministry of Economics and the Foreign Ministry. They thought they had Hitler pretty well controlled! They thought they could use his as somebody to bring the mass following into their camp. On the other hand, Hitler was planning to take advantage of them; to work with them only as long as he needed them. So it was kind of a coalition of…. Roger: Well, we see that today in Israel, for example. Benjamin Netanyahu’s got to watch his Ps & Qs because if he doesn’t meet the standards of certain groups he’s going to lose! James: Yes. On the other hand, these were real crooks! They were really planning to take advantage of each other, and as we’ll see, murder each other if they had to! At first Hitler behaved himself. In fact, there are photos in the book showing Hitler and Prince August Wilhelm, the son of the former Kaiser. Hitler and Goering, during this period, almost always had this Prince with them, because they were promising the old conservatives that they would bring the Kaiser back. Also from this period, if you see pictures of Hitler and President Hindenburg. Hindenburg was still president and actually held more power than Hitler did as chancellor. When Hitler greets Hindenburg he bows so low it almost looks ridiculous! In fact, there’s a good story about that. Shortly after he became chancellor, at some sort of state function party, one of the royal family, Princess Louisa (who was known to be rather short, fat and ugly) was talking with Hitler. She wanted some refreshments so he bowed and went off to get her wine and refreshments. Of course, the gossip columnists really had a field day with this! They were saying the chancellor was behaving like a flunky because never before had the German Chancellor run off to get some princess’s refreshments! That kind of behavior continued for awhile; at first trying to play un to the old conservative nationalists. However, these people, these conservative nationalists, had a lot of the same goals that he did! Even during this period while President Hindenburg was still alive, Hitler started the boycott against Jewish businesses. Basically, this was the first phase of the holocaust! Nazi goons would gather outside a Jewish business and keep customers from going in, unless they wanted to risk being beaten up by these Nazi bullies. The boycott didn’t work very well because soon after the Nazis started it, they began to get complaints some of Hitler’s own financiers. The bankers were worried that if the Jewish department stores didn’t do any business, the stores would go bankrupt and the bankers, some of the very people who helped finance Hitler, wouldn’t be able to collect on their loans! Roger: The old Catch 22! James: Exactly! It’s kind of funny! In fact, one of things Hitler wanted was to confiscate Jewish department stores! The problem racists run into; and they don’t give much thought to this, is “what is a Jewish department store?” Is it Jewish if the owner and management are Jewish but the employees aren’t? That was the case at many places in Germany. The employees, some of whom were Nazi party members, petitioned Hitler to keep the department store open because they’d be thrown out of work during the Depression! Some other department stores might have Jewish management but they were public companies with stockholders. So it’s kind of amusing, some of the problems racists run into when they try some of the ridiculous stuff! Roger: Oh, the quagmires! So, Hitler, as chancellor, had other clearly identifiable goals. At some point we head toward dictatorship. What were the steps that there? James: Hitler began this re-armament, preparing to go to war. A few years into his regime, President Hindenburg died. Hindenburg had been the great field martial of WWI. He was respected by all classes of the German people. When Hindenburg died, the industrialists, the army and the Nazis got together. There was some question over who would succeed him as chief of state; whether it would be the Kaiser’s son, Prince August Wilhelm, a general or Hitler. They decided on Hitler. That marks the beginning of Hitler’s dictatorship. But, a lot of power still remained with the partners! They still controlled the army. That was the deal Hitler cut with the army in order to be president, president and chancellor, that is in effect dictator. The deal was that he would not interfere in army affairs. Roger: As Hitler gained that kind of power, you are obviously not going to stop him. In Chapter 3 of your book there’s a fascinating story about a power struggle between Hitler and his partners. I thought you might go into that story and talk about the extravagant party and what was going on there. It’s a really interesting story I’d like you to share with the audience. James: Will you refresh my memory a little bit? Roger: Where people were being killed, his own people, when he was a the big party. James: Yes! This is a situation; a man I had mentioned last week, who had really helped build the party up from the beginning, his name was Ernst Rohm. He was an army captain who was also gay. This was something Hitler seemed to tolerate very well. There were rumors they might even have had an affair at one time. I was not able to substantiate those rumors. Once Hitler became chancellor, he appointed Ernst Rohm as the leader of the Storm Troopers, the Browshirts. They numbered about 500,000 men! Remember that at this time, the German army was restricted by treaty to be no larger than 100,000 men. So, here you had these Brownshirts whose number was five times the size of the regular army! They were really a potential threat and could have taken over the regular army! There was a showdown betwen Hitler, the generals and the industrialists. The generals and industrialists said, ‘Get rid of Rohm!” Rohm was socialist -leaning, primarily because all the Brownshirts were, basically, unemployed and they wanted to take over the factories. Hitler agreed to get rid of Rohm. That was called “The Blood Purge” in which he surprised Rohm and some of his lieutenants at a resort in Bavaria. Rohm was gay and some of his key lieutenants were gay. They found some of them in bed with young boys, some were in bed with each other. Hitler surprised them with his SS bodyguards, shot some of them on the spot and had the others brought back to Berlin in chains. He couldn’t bring himself to give the orders to execute his friend, Rohm. He had Rohm arrested at the resort and brought back to Berlin. Rohm is sitting in prison the day after his lieutenants had been shot. Hitler had a diplomatic reception; a fine party with waiters in white livery and gloves serving champagne on silver trays, and some observant reporters noticed that Hitler was very uneasy. Rumors had been going around that something was going on; but, none of this was in the media, that Hitler had conducted this purge the night before. But observant reporters notice Hitler was very edgy at this party. At one point a lady dropped a glass, and when the glass hit the floor and shattered, Hitler jumped! It was an instinctive reaction. Remember, Hitler was an infantryman in WWI and when he heard something that sounded like a shot, he reacted instinctively. During the party a messenger came in and gave a message to Hitler. He wrote a note back saying he’d finally made up his mind during the party to have his friend, Rohm, shot! He gave Rohm the opportunity to kill himself. Rohm said, ‘if Adolf wants me dead, let him come do it himself.” Hitler wasn’t about to do that, so he gave the order to have Rohm shot. So while Hitler and the generals partied, Rohm and some of the very men who had worked with Hitler from the beginning, some of the most devoted Nazis, were stood up against the wall and shot at a military barracks a couple of miles away. Roger : This was all party of the underlying power struggle? James: Exactly! You said that there are coalition governments and parliamentary democracies; but, not like this! In this, the various partners were planning each other’s executions! Roger: It was a matter of survival—kill or be killed! That’s the position they ended up in. James: And they were fighting over the loot! Who was going to get control of all this? Roger: You say Hitler was given his orders. What was that? James: That was basically talking about the situation with Rohm and the Brownshirts who wanted to take over from the army. Before that purge, before Rohm was shot, Gustav Krupp, the great steel tycoon came to Berlin to talk to Hitler to complain. He said that the Brownshirts must go! Hitler still wavered because the Brownshirts were a tremendous paramilitary force, a militia. Roger: I watched a German propaganda film the other day. It took me through a bunch of marches and incredible crowds of people surrounding Hitler, the Hitler Youth, the tens of thousands of young kids; 13, 14, 15 years old! It just blew my mind, Jim! We saw some of the grotesque Auschwitz kind of films in school; but, we didn’t see any of this propaganda stuff! Unbelievable numbers of young people who were loyal to Hitler! It was just amazing! They were a very dynamic group, scary people! James: In the book I have a photograph of Hitler standing with his hands on a little boy’s shoulders. The sort of satanic eyes, the mesmerism coming out of Hitler’s eyes! The way he controlled the youth of Germany! In fact, he had a saying. He would say, “Whether you join us or not, I really don’t care. Your children are already our followers. We will control the next generation.” That militarism, that propaganda that was his greatest skill! Remember those torchlight rallies! Roger: Telling young boys, ‘you are the future of Germany— you are the German race—you are the best, the brightest, the strongest’ — YOU ARE THE CHOSEN FEW! James: What kid doesn’t want to play soldiers? A lot of kids fell for this. They got to handle a rifle so this had a great deal of appeal. Hitler Youth was a big factor in Hitler’s corner. Roger: At this time Hitler has taken control of the government, seen to it that those who present a threat in his immediate cabinet were taken care of—THEY’RE GONE! Hitler still had a difficult economy to deal with. He’s in the middle of a Depression and he’s got to rebuild and re-arm. How does he do that? James: One problem sort of solved the other. As he started to re-arm, it put a lot of people back to work. That tied into Hitler Youth because as they were being trained to put on the uniforms of the reserves of the regular army when they turned 18. They built up a large military reserve. The first military step Hitler took was the re-occupation of the Rhineland. Roger: Where did he get the money, Jim? James: At this stage, most of the money was from contributions he got from the German industrialists. They were borrowing hand to mouth to get the re-armament this far. They were still too poor to go to war. You can put Hitler Youth boys in uniform, you can produce riflers for them; but, it takes a lot of money to buy and produce heavy artillery, tanks, airplanes. They did not have that yet. In order to get that (money), they had to look someplace else. They had to look at the small countries on their borders. The plan was pretty simple. Attack these countries one by one, overrun them, loot them, steal their gold reserve, use their gold reserves to buy Swedish steel needed to building tanks and artillery, to gradually build up the military machine. This is what he did. Austria was the first small country he over-ran. Roger: Did the king of England help Hitler re-arm? James: At that very crucial early phase of the rearmament, even before he occupied Austria, his first step was into the de-militarized Rhineland. Basically, he was going to fortify the River Rhine because unless he could do that, France could easily cross into Germany at any time. He was vulnerable. When he started to re-occupy the Rhineland, it was a violation of the Treaty of Versailles. France and England would have been justified in sending troops into Germany. They could have easily defeated him at that stage. He wasn’t nearly strong enough. But, the King of England, Edward VIII, intervened with the British government on Hitler’s behalf, to let Hitler go ahead and re-arm the Rhineland. That was a tremendous help he gave to Hitler! Hitler was still vulnerable at that stage. Roger: At this point his anti-semitism becomes pretty blatant, doesn’t it? James: Very much so! As soon as the Nazi’s took over in Germany, even before Hindenburg’s death, they started to throw the Jews out of all government jobs and out of the professions. This was done by a goon squad of Nazis that would show up at a town courthouse. They’d go in and physically grab any Jewish judges or lawyers, rip their robes off and throw them out in the street! Just as simple as that! James: Exactly! Many Jews started to leave the country, those who could afford to. Some were too patriotic in their German patriotism, they thought it couldn’t get any worse, so a lot of Jews stayed, unfortunately. Roger: Jim, we’ve got to take a break. Ladies and gentlemen, our guest this evening, for the second week in a row, is James Pool, author of the book, “Hitler and His Secret Partners.” Just hang with us, we’ve got quite a bit of ground to cover, then we’ll open up for phone calls. Roger: We’re back with James Pool! James, as Hitler was re-arming: he’s got an army along the Rhine now, to protect himself from France, doesn’t that spark England and France to re-arm as well? James: Not to the extent that Germany did. You have to remember, they had never really dis-armed. You have a very large French army, probably at least four times the size of the German army. Britain had a large navy. It’s army was not as big. They really weren’t beginning re-armament yet. Hitler’s first military move was into Austria. There was no armed resistance by the Austrian government. They decided that resistance against Germany would be ridiculous because the Germans outnumbered them. As soon as German troops rolled into Austria, German bankers and industrialists followed to claim the various properties they wanted. For example, the Rothschild Palace, within the first hours of occupation, was looted by the Nazis who just tore out silver candlabras, paintings, and all things of value. There’s a good account of that in the book William Shirer wrote. He was a great reporter and was right on the scene in Austria when the occupation took place. He watched the Nazis loot the Rothschild Palace. It didn’t just happen to wealthy Jews, it happened to ordinary Jews. The Nazis might roll a truck up outside a delicatessen and loot the place; carry out the big sausages, the big wursts and roll of cheese, just empty the place to four walls! Some Nazis played a different tactic. For example, where an Austrian Nazi worked in restaurant, they’d just throw the Jewish owner out, install themselves behind the cash register and put up a new sign saying UNDER ARYAN MANAGEMENT! That was it! Roger: Who got the loot when they took this stuff? James: It was all prearranged because, naturally, if it had been every man for himself as far as the Nazis were concerned, they would have been shooting at each other! My research confirmed this was all prearranged. For example, the big chemical companies went to the German chemical cartel, IG Farben. Krupp, a financier of Hitler got some of the big Austrian steel companies. Dr. Schacht, a banker who supported Hitler in the early days, was one of the first ones in Austria to claim the gold reserve. The Austrians had a nice big gold reserve. He claimed that gold reserve for the German Reichsbank. It was by looting that Austrian gold reserve that Hitler had the new infusion of cash to keep him going; to buy more tanks, more artillery, more planes to set him up for the next phase, the attack on Czechoslovakia. Czechoslovakia was a key strategic point because France had an alliance with Czechoslovakia and Poland and other eastern European countries. The Czechs were a very industrious people. They had very good industry. Their army was small; but, it was one of the best equipped. Far better equipped than the German army was! They had the newest artillery. Hitler wanted to get those Czech weapons. He wasn’t quite sure he had enough to attack Czechoslovakia itself yet; so he worked the famous Munich Agreement with the British, Neville Chamberlain. Basically, Britain sold out the Czechs! Chamberlain’s excuse was he did it to prevent war. Actually, I believe he had other motives, a deal worked out with some of Hitler’s financiers to turn Czechoslovakia over to Germany. Roger: A lot of the western people that we think would be the folks who would stand firm against the whole concept of Nazism actually helped bring Hitler to greater power! James: Definitely! The reason was, especially when we talk about somebody like Chamberlain….. remember, the basic goal of Hitler and his partners, these industrialists, these ultra-nationalists, we to build a great German empire in eastern Europe when the countries of Czechoslovakia, Poland and Russia were. People like Chamberlain thought there would be tremendous business opportunities if Germany was to occupy all those countries. If Britain was in good with the German government and those countries were opened up, it would be like opening up the American West. When we talk about Chamberlain this brings us to another individual who was influential at that time, Joe Kennedy, who was the United States Ambassador to Britain. James: Joe, for people who don’t remember, was JFK’s father. At that time, John Kennedy was just a kid in college. Joe was the US Ambassador in Britain. People who knew him well knew that he had definite anti-semitic tendencies. His background was as a stock market trader, a stock market manipulator who had put together a lot of famous takeover deals. A lot of people think takeover deals are new; but, Joe Kennedy had been putting them together in Hollywood, one studio taking over another, back in the 1920s. He made contemptuous references to Jewish executives in Hollywood calling them “pants pressers” and things like that because earlier in life they might have worked in the dry cleaning trade. It was known by some people that he had anti-semitic tendencies. When he got to Britain he was definitely pro-Hitler. He was very much anti-communist and thought Hitler was a good defense against communism. He was also, like Chamberlain, looking for new business opportunities with this eastern German empire if Hitler was allowed to expand to the east. Roger: Oh, Lord! Hold it right there, we’ve got to have a break. Hang with us! We’ll take calls in a little bit! Roger: We’re back with James Pool! Last week we learned that Henry Ford, creator of the Ford Motor Company, was involved early on with financing Hitler. Tonight we learn that Camelot, America’s prize royal family, the Kennedys, supported Adolf Hitler! This is unbelievable, James! Did Kennedy offer financial support or just moral support? James: At this stage, at this party in London, he had told the German diplomat, in effect, ‘you can get rid of the Jews if you just do it quietly.’ I think what Kennedy meant by this was discrimination against the Jews in business, kicking them out of various professions, maybe even expelling them from the country. But, the diplomat immediately wired this back to Berlin! The next morning, Hitler’s morning routine was, first of all, his attaches brought him the major news stories that happened overnight and the major diplomatic wires that came in. They filtered through them at first, but he always wanted to see everything that had to do with the Jews or anti-semitism and anything to do with major powers. So this statement by Kennedy who was from an ambassador of a major power, the United States, and it had to do with the Jews so it was one of the first things across Hitler’s desk the next day! When Hitler saw this: YOU CAN GET RID OF THE JEWS IF YOU JUST DO IT QUIETLY— in his mind, he’d been planning to get rid of the Jews— he wasn’t thinking of kicking them out of the country, he was thinking of exterminating them! Roger: He saw this as an endorsement! James: Exactly! “Kill the Jews if you just do it quietly!” Sure enough, when the holocaust was actually put into effect, they put up those concentration camps in remote locations in Poland and eastern Europe where nobody actually saw what was happening. They shipped the Jews out to, in effect, kill them quietly. Roger: You also mentioned Charles Lindbergh in your book. How is he connected with all this? James: At the time of the so-called Munich Conference, when Chamberlain sold out the Czechs, Lindbergh had been touring Europe and he was very impressed by the German Air Force. Like Kennedy, he had anti-semitic tendencies. He had a lot of admiration for the Nazi Luftwaffe. He and Kennedy conspired together. Lindbergh wrote up some kind of document saying that in any struggle, the German Air Force would defeat the British Air Force easily. Kennedy gave this to Chamberlain before the Munich Conference and Chamberlain used it as an excuse to sell out the Czechs. In other words, Britain isn’t strong enough for war yet so we’ll let Hitler go ahead and have Czechoslovakia. Roger: Wow! These are folk heroes! These are American folk heroes! Joseph Kennedy, the Irishman with the whiskey brogue! Charles Lindbergh! He’s one of the greatest aerial heroes! For people who are into flying, they have his picture on their wall! James: Like Henry Ford, Lindbergh was very brilliant in his field as far as flying was concerned; but, when he got into politics, he was just out of his depth, so he fell for some of the Jewish conspiracy stuff! If there’s any doubt about it, later on he started the America First Party, supposed to keep America out of war; but basically, he didn’t want to go to war with Germany. Some place out in the midwest, I think it was Des Moines, he gave a very anti-semitic kind of speech in which he said that the Jews were trying to drag us into war. Then there was no more doubt about Lindbergh’s anti-semitism. Roger: What were some of the other big names involved in financing Adolf Hitler? James: At that stage, the big German companies had something called The Adolf Hitler Fund. That started shortly after Hitler became Chancellor. Gustav Krupp, the great steel man, was appointed head of The Adolf Hitler Fund. He wrote a letter to a lot of other powerful German industrialists saying, “Whoever helps quickly, helps doubly” in order to solicit funds for Hitler. Roger: What did these people get in return for the money they gave Hitler? James: In the first stage in Germany, they got the confiscated Jewish property. The little Nazi got the job of the Jewish school teacher who was thrown out of his position. The big Nazi like Gustav Krupp, would get a steel factory that was confiscated from wealthier Jews. These were the sort of rewards that were handed out at first. Then when he invaded Austria, they kept dividing up more Jewish property among the people who had financed him. When he over-ran Czechoslovakia, it was looting the gold reserve and all the weapons of the Czech army. After the looting of Czechoslovakia they were almost strong enough to go to war with France! There were stories from reporters on the scene who said after the Germans over-ran Czechoslovakia, for about the next month or two, every night there were just rows after rows of German trucks full of Czech valuables, raw materials, taking them over the border into Germany. Every night! Roger: We’ll be back with James Pool to continue this discussion after the break. Please stay tuned. Roger: Welcome back to the program! 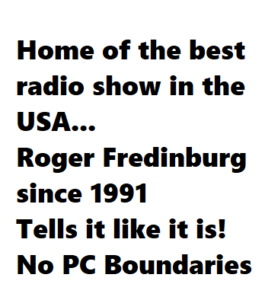 I’m Roger Fredinburg, radio’s regular guy! We are in week 3 in our 20 week series, The Holocaust: We Must Remember. For the second week, James Pool is with us discussing his second book, “Hitler and His Secret Partners: Contributions, Loot and Rewards: 1933-1945” So far we have talked about Hitler becoming the Chancellor, some of the power struggles, the lack of funds. Then, of course, the sudden discovery of those monies, and who helped finance him. Interestingly, Joseph Kennedy, in London as our Ambassador from the United States, sort of encouraged Hitler to get rid of the Jews! This is very powerful! Charles Lindbergh, another American folk hero, was also very supportive of Hitler’s military, his Air Force, and helped to establish that Chamberlain would not try to stop the Germans from taking over Czechoslovakia! Jim, we need pick up the pace a bit so we can get some phone calls in. I’d like to get right up to the things that happened leading up to the actual holocaust, the genocide that became part of the whole Nazi movement! James: We’re right at that point now. Once he over-ran the three small countries; Austria, Czechoslovakia and when he attacked Poland, that was the war! When war began, the holocaust was put into operation. In Nazi terminology, the code words were “the final solution to the Jewish question.” When they moved east they started rounding up the Jews in Poland put them into ghettos. After they conquered Poland, they turned around, invaded and conquered France. After looting France, they turned their attention to the invasion of Russia. Their plan for this great empire in the east was to move German settlers in. But, if the countryside is already crowded, you can’t move settlers in so they wanted to combine that with the final solution to the Jewish question. Behind the army came the SS, that literally take Jews out of the villages, march them through the countryside, force them to dig a trench, line them up and shoot them and push them in the trench! Hundreds of thousands of people were just murdered on the spot this way! James: This was one of the most gruesome aspects of the holocaust! Men, women and children were just butchered! The Russian Communists bear a little bit of the responsibility because they knew through their military intelligence this was going on; but, they didn’t warn the Jews. If they had warned them, they could even have given them rifles so they could disperse into the woods to defend themselves; but, no…. they didn’t! They were only concerned with protecting Russians because there was a certain amount of anti-semitism among the Communists, too! Hitler had a problem! In remote areas of eastern Europe, in Russia, he could just butcher Jews on the roadside. He couldn’t do that in France, Holland and Belgium, the countries of western Europe. So, he decided to build these great concentration camps in the east, like Auschwitz in Poland, ship the Jews by rail from France to Poland to exterminate them at the concentration camps. However, there was a very valuable resource here they did not want to affect; to use those Jews who were physically to work as slave laborers because the pro-Nazi German industrialists saw great opportunity here! They could have Jewish slave laborers working for just a few pennies a day. This is where you have that partnership, and you have the responsibility of certain companies and certain German industrialists in the holocaust, because after arresting the Jews, the SS would sell them as slave labor to the industrialists and companies! Some of those companies actually built factories at the concentration camps like Auschwitz! The SS told the industrialists, ‘you can work them for as long as you want—24 hours a day for all we care’. So a lot of that responsibility falls on the heads of those industrialists who did work those Jews 18 hours a day— worked them to death! In fact, there was a phrase used among Nazi industrialists, “Extermination through Work.” Work them until they could work no longer, then ship them over to the gas chamber, the ovens, where they could be exterminated. Roger: Oh, boy! So across eastern Europe you had continuation of the SS roadside killings, marching people into the woods and killing them! By this time, the wars is in full flow; you’ve got problems with supplies, you’ve got hunger, you’ve got disease, you’ve got all kinds of problems now! How did Hitler deal with that? James: As far as murdering the Jews on the roadsides in Russia (shoving them into a ditch), they did this while they were at the height of their power, closing in on Moscow, almost to Stalingrad! The war was really going well for them! In fact, they were worried that a German victory would come before they had exterminated all the Jews! The reason they worried about that was because once the war was over and people and reporters from neutral countries would be able to travel freely, they couldn’t keep butchering people because of the bad effect on international relations. They wanted to hurry up and exterminate all the Jews before the war was over! Fortunately, Russia proved to be a harder nut to crack than Hitler had bargained on! The war didn’t go so well! James: Yes. After Stalngrad things started going downhill. There was a shortage of food, so the rule was : Germans eat first, other people eat afterwards! In places like the Ukraine, a very fertile area, all the food crops were shipped to Germany while the Ukrainians had to sit starving, watching the railroad cars loaded up with Ukrainian wheat and agricultural supplies with names of German cities written in white on each railroad car: Cologne, Berlin, Munich. This is where their food was going while they starved! In the concentration camps, the Jews worked as slave laborers, the ones that could. Of course, the poor children and older people were gassed immediately! The industrials took advantage of this cheap labor and profitted enormously! Roger: Jim, you are not a Jew? Roger: You’ve studied this issue for 25 years. Roger: What I hear coming the mouths of ‘good Americans’ all over this country is, ” The holocaust didn’t really happen. There weren’t even 6,000,000 Jews in Europe! This is a hoax! This is part of the Jewish Conspiracy!” Do you find any evidence of that in your 25 years of research? And if there’s not, where does this stuff come from? James: Where it comes from is, even as the Nazis were being defeated, Hitler and Dr Goebbels, the Minister of Propaganda, were planning how the Nazis would polish their image post-war. They were already thinking about it then! They were destroying any documents that would implicate them in the holocaust. As soon as the war was over, neo-Nazis put their propaganda into motion to deny that the holocaust ever happened. For me, the most convincing thing was that someone that I knew, an American GI (who is not Jewish), was one of the first ones that arrived at Dachau as an 18-year old GI. He described the pitiful state, bodies lying around… rotting corpses! This is a guy I know personally! He’s not part of some propaganda conspiracy or anything! That kind of thing really brings it home to you. Then when you start to look at the documents you see there’s just no doubt about this! There’s no doubt about the numbers. Roger: But, was the propaganda machine so potent, so powerful, that 50 years later in America in the 1990s, people are still caught up in it? James: Oh, sure! The neo-Nazis are a powerful force! They have a few historians in their camp and they represent a powerful interest group. They churn this stuff out and they have considerable funds in their resources. Roger: All right, James, I’m going to open up the phone lines soon to let folks ask some questions! Are you ready for that? We’ll take calls right after the break! Roger: We’re back, ladies and gentlemen! We’re with James Pool! His book is, “Hitler and His Secret Partners: Contribution, Loot and Rewards: 1933-1945” I guess the big ones here were the industrialists, eh, James? Roger: Let’s take some phone calls. We’ve got Marie in Medford, Oregon on the line! Caller-Marie: Hi, Roger! I’m enjoying your guest! He left out a few people that supported the Nazis. (unintelligible sentence) A lot of people in England supported Nazism. A lot of people in the United States, aside from those he mentioned. There are still people in the United States…. Roger: Who are some of those people in the United States? Can you name them? Caller – Marie: The Duke of Windsor. I think a good number of your calls (last week?) of laypeople, people on the fringe who write books and the people who read this trash! I call them “anglophiles” ! They totally deny the 12 Tribes of Jews! Roger, you’ve gotten calls like that before. I’m sure there’s some big guns somewhere. I’ve read that even President Roosevelt knew what was going on. Could he have stopped it? I don’t know! I’m an ex-Catholic and I know the Roman church knew what was going on! Could they have stopped it? I don’t know! James: I think you’re right, Marie! There were a lot of people that I haven’t mentioned on a one hour program. I think you’ll find a lot of that in the book. There’s certainly no question that the Vatican knew this was going on. The Vatican even signed The Concordat, the treaty with Nazi Germany, basically saying if Hitler didn’t touch the Catholic schools, the Catholic church would go along. Of course, the Duke and Duchess of Windsor…. Caller-Marie: What about our president and some of this staff knowing it was going on? Surely his intelligence was good. I am not saying he could have done anything about it. Roger: I think the American people was the reason. We did not want to get into the war. if I remember correctly. James: She’s right to a certain extent about Franklin Roosevelt. There’s a story in the book about a very tragic incident, the refugee ship called the Saint Louis. The ship was full of refugees fleeing Nazi Germany, trying to be admitted into the United States and President Roosevelt turned his back on them because of political pressure from anti-semitic groups in the United States. He was afraid to challenge that! Caller-Marie: Also, keep in mind Roger, and you’re much younger than I am, that Roosevelt’s name “sounded Jewish” to some people and he lost votes because they thought he was Jewish! Roger: Okay, Marie, thank you! Gearhardt, of Oakland, California, you’re on the radio! Caller Gerhardt: There’s really no end to historical reconstruction we can all do. To look back on what Hitler was doing before the war and say, “why didn’t anybody step in and do something?” That’s like trying to say today, “Why didn’t we send our troops in to stop the Hutus and the Tutsis from chopping each other up?” It’s none of our business! Sure, it was nasty! Sure, it was rotten– no good! But, that’s no pretext on which to launch an international military expedition. Another thing that bothers me about this. We automatically hit the number 6,000,000 when we talk about Hitler. It’s been pounded into our brains from age two! He killed 12,000,000 in the concentration camps and they weren’t all Jews! The Madision Avenue-ization of the Jewish persecution.Yet, nobody looks at the 26-28 million Russians that were killed. Roger: Gerhardt, I have to interject here. First of all, the Jews were specifically targeted for genocide. Stalin just killed people who disagreed with his agenda! Hitler was not out to exterminate all Russians, he was out to exterminate the Jews. His primary focus was to commit genocide aginst the Jews! He wanted to rid the world of the Jews! Caller-Gerhardt: And Slavs… Jews and Slavs! This is the part you leave out! Caller-Gerhardt: …many more millions than Jews, also… yet, nobody calls this a holocaust with a Capital H.
James: In fact, a lot of the Slavs who died were Russian soldiers who were imprisoned and certainly mistreated. James: Many Russian civilians died during the war; but, you see, that’s a slightly different situation. They weren’t singled out for extermination! Caller-Gerhardt: Oh, sir, you don’t know what you’re talking about! You’re a complete fool! Roger: I’m not going to let you talk to my guest like that! You can’t get into name-calling because, first of all, James has studied this issue for 25 years! To call a man who has written two wonderful books “a fool” is not going to be allowed on this program! To disagree with him is fine. But, I’m not putting up with name-calling! Tom, in Tampa, Florida, you’re on the radio! Caller-Tom: Yes, sir! My question is similar; but somewhat different than the prior caller. Please don’t interpret this as anti-semitic or to lessen or mitigate anything that happened to the Jews because I think it was obviously direct genocide! There’s no doubt about that! Roger: Tom, I’ve just received a signal that I’m headed into a break. If you could just hold on, we’ll be back! Next week we’ll have Dr. Dorit Bader-Whiteman as our guest to talk about her book, “The Uprooted.” Boy, it’ll be a real fascinating week! We’ll be continuing the series for about 17 more weeks and I’m hoping that at that time, many of the questions you have had over the years will be answered. Hopefully, some of you who have been indoctrinated with what I call “craziness”, this disinformation, this propaganda, will begin to clearly see what really went on. That’s my hope! I hope you’re paying close attention and you’ll try to be objective. James, welcome back! We’ve got Tom in Tampa, Florida waiting. But, first let me ask, how do people get your book? James: Yes, the big chain bookstores have it! Roger: All right! Hello, Tom in Tampa! Caller-Tom: My question is to James. This is in no way meant to denigate or mitigate…. I certainly think the extermination of 6,000,000 Jews as a race was the clear intent of the German hierarchy. Were there any other groups such as the gypsies or anybody else also targeted? This is just to get a perspective on the real magnitude of the mindset of the Nazis. That’s the reason I ask this question. I’m 54 years old. I was born in 1943 so I am not at all what happened during that time. I have tried to study it in the past been haven’t had much time to devote to it. You’ve had a great deal of time! We’re any other groups targeted? James: You’re right, Tom! The other group targeted for extermination was the Gypsies. This didn’t happen as early as the plan to exterminate the Jews. At first, the Gypsies were rounded up and put in concentration camps; but, they got much better treatment than the Jews. For example, they were allowed to live in family groups. The Jews were separate: women to one place, children and old people to another place to be exterminated. The Commandant of one of the concentration camps, I think it was Auschwitz, used to go to the Gypsy section and there was a Gypsy orchestra to play music for him! The Nazis hadn’t realy cranked up the propaganda against the Gypsies as much as they had the Jews, so when the orders came down for the Gypsies to be exterminated in the concentration camps, some of these commandants were a bit reluctant; but, they went ahead, of course. Caller-Tom: Why, the Gypsies? I mean, how does that tie in with their world view or where they wanted to go? I’m trying to elucidate, what was motivating them? We know, in some regards, why they exterminated the Jews; but, why target another group of people who were relative innocuous? James: Not just that; but, there was a shortage of food during the war. In the book, I certainly do not neglect the suffering of the Polish people and the Russian people. They suffered miserably and were treated brutally. But, the Jews were treated worse! There’s a good example in the book! When the Nazis first came into Poland, they put the Jews in ghettos before they put them into concentration camps. The first thing they did was ration the use of food. A German was entitled to buy approximately 2,000 calories of food a day. A Pole was only allowed 500 calories a day. A Jews was allowed 200 calories. James: You know, a Pole might be able to stay alive on 500 calories, especially if he could cheat a little bit and get something from a farmer or somebody else. But, 200 calories, it’s definite what they were intending to do! Caller-Tom: Right! And they were restricted to the ghettos so they had no opportunity to go out and dicker with anybody else to obtain anything! James: Exactly! We don’t realize the shortage of food that existed. One of the big things that really defeated Hitler, something not many people talk about, is the British naval blockade. The British Navy put a steel ring around Europe and food supplies couldn’t get in! So, the Germans only had what they could grow in Europe and what was in Russia! There was a huge food shortage. That’s why people like the Gypsies were singled out. Roger: That was one of Hitler’s motivations to take over territory, too. Because there wasn’t enough territory in Germany-proper to feed the Germans! Caller-Tom: That’s what I was going to say, too! Isn’t that the reason he attacked Russia? James: Exactly! There were two reasons he attacked Russia! It can be summed up in two words… FOOD and OIL! The Ukraine was the richest agricultural area in Europe… to get the grain and crops from the Ukraine and to get the oil from Baku…that was the real reason behind the attack on Russia! Roger: Tom, thank you very much for your call! Barbara in Central Point, Oregon! Caller-Barbara: Good evening, Roger! The gentlemen before me talked about the Gypsies. Also, the Jewish people in Warsaw did the “turning around” or changing of the Jewish nature. In Germany they’d just stand there and be mowed down! In Poland, and especially Warsaw, they started fighting back! They started fighting! I nursed with one of the girls who was in the Warsaw Ghetto. She told us a lot of stories about it. People can not deny the Holocaust. I don’t know if there’s any film left; but, during that time we had the March of Time (newsreel). It showed pictures—they were stacked like kindling! At the end of the war when they were found, they looked like stick figures! It was the most pathetic thing you ever saw! A lot of the boys over there in military prison camps were starving. One of the guys I went to school with said he would dream of food at night. Roger: Barbara, in this series we’re going to be talking to a number of survivors and resisters. You’re going to hear some of the horrific stories, what it was like inside those camps. Caller-Barbara: I’ve heard a lot already. When the war first started, Hitler didn’t appear to be a mad man like he did later on. He was so charismatic! We’d listen to him on the radio here in the United States in the 1930s and just drew you to him! Roger: He had that cadence when he spoke! Caller-Barbara: Oh, definitely! And, we had a lot of first and second generation Germans here in the United States that had brothers and sisters and grandparents over in Germany. It was during the Depression and things got better when Hitler got in there. There was never hatred for the Germans, even when we were fighting them, not like there was towards the Japanese! It was a totally different feeling! There were German prisoners out here at Camp White. They’d be let out and work in the orchards with us high schoolers! Those of us that could speak German would talk with them. The Japanese were in a high security pen with guard towers! The Italians were kind of sulky and didn’t respond much; but, the Germans worked in the sawmills and out on the farms. There would be one guard over a whole bunch of them working! Roger: Barbara, thank you very much! Brian, in Springfield, Illinois, you’re on the radio! Caller-Brian: I heard there was talk at one time in the 1930s of a British-German Union, that the British League of Fascists came close to getting into power. James: Yes! There was a party called the British Union of Fascists led by Sir Oswald Mosley. He was one of the people I interviewed in researching this book. He was very friendly with Hitler. Caller-Brian: If the British Union of Fascists had come to power and Britain and Germany joined forces, would that have made Germany and Hitler stronger? Roger: You’d be speaking German today, Brian! Caller-Brian: How were the blacks treated in Germany? James: Actually, there were very few black people in Germany. Caller-Brian: How were other blacks in Europe treated under Hitler’s regime? Were they gassed? James: No, not that I know of! There was no program to do so. Caller- Brian: What did Hitler think of black people? James: He thought they were inferior. He used various derogatory words to describe them that we don’t need to mention on the air. Roger: We’ve got to take a break, gentlemen. Do you have another question, Brian? Hang on just a second! Roger: All right! We’re back with James Pool. You can get either of his books by just asking at your bookstore! Brian, let’s hurry along! I’ve got to give as many callers a chance as I can. Caller-Brian: Okay! James, how did Hitler view his allies like the Japanese? Did he look at them as equal to the Germans? James: Certainly not! Officially, as far as their propaganda was concerned, they did. But, Hitler had a very ambivalent attitude toward the Japanese. Caller-Brian: Didn’t he try to get the Japanese to invade Russia with him, at the same time? James: If he had done that, he probably would have won the war! Caller-Brian: He probably would have defeated Russia with Japanese help? James: Yes. Because of this racist attitude he had toward the Japanese, he recognized that they were great warriors; but, he considered them racial inferiors. He didn’t want to share Russia with them. Caller-Brian: If Hitler would have invaded Russia with the Japanese coming in from the Siberian side and the Germans coming from the European side, would that have forced Stalin to fight a two front war? James: It certainly would! And it probably would have led to Russia’s defeat. Caller-Brian: Do you think Hitler and the Japanese would have fought sooner or later? James: Thieves and criminals always fall out in the end! Roger: Brian, thank you very much! 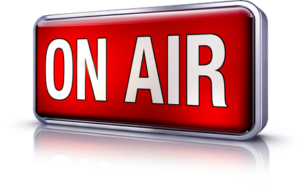 Doc in Roseburg, Oregon, you’re on the radio! Caller-Doc: Good evening, Roger! This is certainly an astonishing program! You are the best thing Oregon has going for it! Now, to give two examples of how it is known that the holocaust happened: my grandfather and great-grandfather left small trusts in the early 1900s to Jewish communities in White Russia, the very far western area of Russia near Poland. They left trusts for friends, people of the same religion in Russia. These trusts were administered by two different banks in Connecticut. Both trusts were returned to the heirs, in other words, to our family after WW II because the banks were unable to find anyone to give the money to—- the communities no longer existed! I have a Key to the City of one of these communities gave to my grandfather in 1902. I have the Key to that City in my hand! It was originally presented in 1902 and reaffirmed in 1928. Something that should never be forgotten is there was another genocide that the Germans were extremely implicated in during WW I. The German were allies of the Turks. Germans were their suppliers and trained their officers! In 1914-1915, the Turks killed—murdered a half million Armenians! This is extremely well documented. There’s something Armenians, Jews and Gypsies have in common. They are all extreme individualists! They’re individualists for different reasons; Armenians for nationalist reasons, Gypsies for cultural reasons, and Jews for religious reasons. The reason Jews are individualist is because an individual Jew’s first relationship is with God! It’s not with a government, not with a political party, not with a state, it’s with God! That’s where his first allegiance would always be! Of course, that makes him very unpopular when there’s totalitarian political forces. On another issue, Roger, just today is the first day I had to withdraw my child from the government schools in Oregon because the Outcome-Based Education is another attempt at totalitarian government! Roger: Yes, it is! It’s happening right now. You follow this series for the next 20 weeks …..
Caller-Doc: I’ll be here! You’re going to win an award for this series, Roger! Roger: Thank you, Doc! We’re trying to squeeze in another caller. Hello, Brenda from Grants Pass, Oregon! Caller-Brenda: Good evening! I was remembering what you were saying earlier about the recruitment of the younger people. It reminded me of a very good movie that depicts this sort of thing, when Hitler was taking over the youth in Poland. The name of the movie is “Swing Kids”. I thought maybe I’d bring that up. Roger: People should rent that movie, it’s incredible! We’ll try to sqeeze in Sol from Eugene, Oregon real quick! Caller-Sol: I just had two quick questions. Do you know anything about the connection between Standard Oil, Prescott Bush, Harriman and Associates, some of the shipping firms that were profiteering off the war and the hearings held after the war pertaining to Wall Street connections? Also, the connection between the eugenics movement with the Nazis and their American and other worldly affiliates? Roger: James, you’ve got 10 seconds to answer that question! I’m sorry. James: There were alot of people and big American companies that invested in Nazi Germany in the 1930s. That’s different than actually financing Hitler. In the end, alot of these people actually lost money and their investment. Some people confuse the two and think that if somebody on Wall Street invested in Germany in the 1930s, which was perfectly legal to do, that they financed Hitler. That’s really not the case! Roger: Their object was to make money. There’s nothing wrong with that in a capitalist society! James, I appreciate having you as a guest, my friend! I’ve enjoyed the two weeks! It’s been an incredible time. James: I’ve enjoyed it, Roger! Thank you so much and thank you listeners! Roger: Folks, we’ve got another part of this series coming up every Wednesday! God bless you all and God Bless America! Good night, everyone!